Full Moon in Sagittarius on May 29 promotes curiosity regarding new insights about life. For many, there is a tendency to go way out beyond their usual boundaries and discover new territory. How we choose to perceive and develop our understanding of this new territory is used by what stage in our life we have come to and what kind of philosophy best suits our own individual needs. Mercury enters Gemini on Tuesday (May 29 – June 12). Mercury is the ruling planet of two astrological signs: Gemini and Virgo. When in Gemini, Mercury is known to increase our attention to detail, and to cover a wide range of topics and subjects of interest. Mercury in Gemini directs and orchestrates information in an interesting and captivating fashion. The thing to remember, however, is that information is not always well researched or even a correct and accurate representation of the truth so take all information presented to you with a grain of salt. Venus in Cancer trine Jupiter in Scorpio (June 1 – June 11) is a favored and prized aspect that allows for greater potential to receive and expand gifts of love. This is a great time to use love to expand your outlook on life. Commonly, this translates to the act of adorning beauty with riches so it’s not a bad time to adorn your loved ones with jewelry or trinkets. Venus in Cancer trine Neptune in Pisces (June 2 – June 11) brings feminine love in harmony with spiritual expression. When one comes from a place of love, it is easier to draw down a spiritual enhancement of that love. To love unconditionally is a way to acquire gifts of the spirit world. This has something to do with the old age: what goes around comes around. Aries: The Full Moon on May 29 builds on your growing optimism, creating a sense of adventure and the desire to push beyond your comfort zone. The last few days of the month are perfect for taking a trip somewhere or experiencing something new. Whether you take day trips and try out a new restaurant or sign up for a course or a workshop, it doesn’t really matter what the scale of your adventure is – you could do a couple of small things over two or three days so long as you do something different from your everyday routine. If you receive an invitation to go somewhere or try something different, take it. It might just give you a whole new perspective on life. Taurus: The theme for the week is transformation, and the trick is to determine what needs to go and what needs to stay or what can be reworked and made into something better. It’s no use cutting off your nose to spite your face, so think carefully before consigning anything to the rubbish bin. Can the difficulty or the item or situation be improved with a little love and care or with a different perspective? Are there things in your life that would definitely benefit you to be rid of? It might feel liberating to clear out a closet and take some unwanted items to a charity shop. Keep whatever has value, and let go of the rest. Gemini: Much of this week is about the need to recharge your batteries and to determine what you need to make progress in your life. Spending time engaged in activities that replenish your spirit is time well spent because this replenishment will give you the confidence, energy and motivation to make empowering changes. It isn’t all about you, though. The Full Moon in your opposite sign on May 29 is likely to put the emphasis on relationships. Expect clarity on partnership issues or the opportunity to learn something from someone. Sometimes we can be inspired by another person’s words, appearance or attitude. Be open to such inspirations, and allow the wisdom of others to touch your heart. 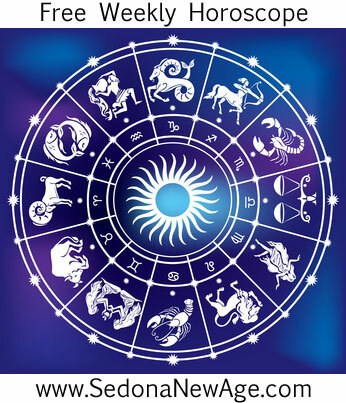 Cancer: The Full Moon in your house of health on May 29 puts the focus on your well-being and follows what was said for last week: this is a good time to adopt a slower pace of life, get the rest you need, and engage more with your physical senses. Use this Full Moon to gain clarity on health issues. This is a good time to resolve any niggles and striving to be more organized in your work could make you feel better in many ways. Getting your life sorted could be the motto for this Full Moon, and you can interpret this as you like. Sorting could range from tidying your desk to using feng shui throughout your house or from cutting down on dairy foods to completely overhauling your health strategy. With Venus in your sign, the point is not to engage in hard work but to enjoy whatever process you undertake. Leo: The month ends on a positive note as a Full Moon on May 29 lands in your house of fun. This is all the permission you need to relax and enjoy yourself. Whether you decide to take a well-earned rest for a day or two or factor in some enjoyable escapades, make sure that the week has a celebratory tone. It’s not always necessary to have an important event to celebrate; sometimes it’s enough to feel good about something you’ve achieved. Sometimes we realize that we have reason to celebrate every day so raise a glass at the end of the week, and congratulate yourself on a job well done, whatever that might be and no matter how large or small. Simply having made it this far might be reason enough to rejoice. Virgo: The emphasis is still on your direction in life and success in the outside world, but the Full Moon on May 29 is likely to draw your attention to matters closer to home. It’s an ideal opportunity to take time out from your professional endeavors and enjoy a little quality time with your family. It’s all too easy to put the priority on being out in the world and becoming someone of importance. However, the last thoughts of the dying are usually along the lines of wishing they had spent more time with their families or having done more of what they loved. Remember this when the Moon grows full toward the end of the week, and seek to nourish the spirit of your home, family and yourself. Libra: The Full Moon on May 29 adds to the lightening atmosphere as this is a pleasurable Full Moon bringing busyness and pleasant activity to the end of the month. Expect plenty of interactions with people around May 29 along with a positive attitude that expects good things. By working on your attitude (and you could be forgiven for having slipped a little on this one, as life may not have been the easiest so far this year), you will alter the way life responds to you. This would be a good time to refresh your understanding of the principles of The Secret or other metaphysical teachings on the law of attraction. Saturn is likely to be testing you, but if you can rise to meet that test and do so with a positive, gracious attitude, the result is likely to be one of success and reward. Scorpio: Financial matters come under the spotlight around May 29 as the Full Moon brings positive developments to something that has been a source of difficulty. This is a great time to become clear on money issues and make changes: perhaps put finishing touches on financial projects. A sense of completion should be yours by the end of the week, leaving you free to concentrate on other things. Whatever needs a make-over, this is a good week to channel your energies into transforming that which needs some love and care. Sagittarius: The Full Moon on May 29 puts the spotlight on you at least for a couple of days which could feel refreshing, since life may recently have seemed to revolve around other people. Now is the time to focus on your needs and bask in the spotlight. This is also a good time to take stock of your life, so consider which areas could do with tweaking and what you would like to manifest. An easy way to do this is to notice what you like and what inspires you. This isn’t about copying or envying others, but just noticing when you respond positively to something, which is a sign that those things might be good for you. Some of it initially might not seem possible, so start with the attainable things, which is sometimes all that’s needed to attract positive changes. Capricorn: The Full Moon on May 29 looks set to illuminate something that might initially be best kept quiet, but when things are out in the open, it will be easier to take action and move forward. For a while, your private world might feel as if it’s on show, which could be uncomfortable, but when light shines into dark crevices, it becomes easier to clean up the messes. This Full Moon may also instill the desire for a little space and relaxation, and it would be good to honor this, as one of the side effects of the Sun travelling through one’s zone of health is that illness can strike. By getting a little more rest or by reconnecting with your inner self through your dreams, meditation, or quiet contemplation, you could do your body a big favor and succeed in keeping malaise at bay. Aquarius: This week ends on a lighter note as the Full Moon bestows a social mood to proceedings. This is a good time to enjoy an occasion with friends or like minded people or to have get-togethers, attend groups, and make contacts and connections. If nothing else, enjoy a meal with friends, and take pleasure in the simple things: nourishing food, soft candlelight, good company and precious moments. Too many of us spend time doing stuff that really isn’t that important, and we miss out on the heartwarming connections that each day has to offer. Although you might not be able to spend each day in exactly the way you’d like, there are probably ways you could bend the ratio more in your favor by dropping one or two things that aren’t essential to make time for those that are. Pisces: Although the general mood is introspective, the Full Moon will cast a different vibration that places you in the spotlight for a couple of days. Here is an opportunity to complete matters relating to your work, wrap up professional projects, and enjoy time spent with colleagues or people linked with your profession. Either way, a sense of fulfillment or completion is likely no matter how tricky things might have been. It may also be useful to consider what success means to you. Moon 00° Sagittarius 17' 29"
Venus 01° Aries 13' 37"